Gyroscopes are one of those physics-based things that seem to have an almost magical quality. You know...kind of like magnets. With the Thames and Kosmos Gyroscopic Robot Kit , you can learn about this incredible device by building seven different models using the motorized gyroscope unit that comes with the kit. 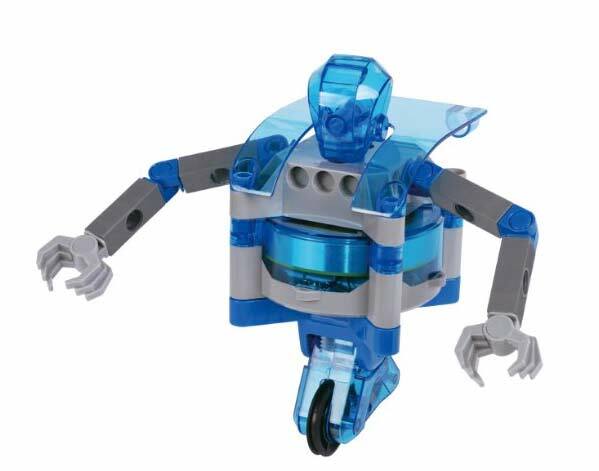 The models include a one-wheeled gyroscopic robot (shown above), a balancing personal vehicle, an artificial horizon, a gyro-compass, a balancing game, a tightrope walker, and a flight simulator. The kit comes with a 24-page illustrated manual, which provides step-by-step assembly instructions and scientific explanations. Here is where you can get the Thames and Kosmos Gyroscopic Robot Kit .